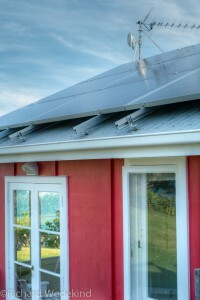 Solar panels on the roof of Red Cottage. After a long lead-up after making the decision to generate some electricity for ourselves, Red Cottage is now adding to the grid. 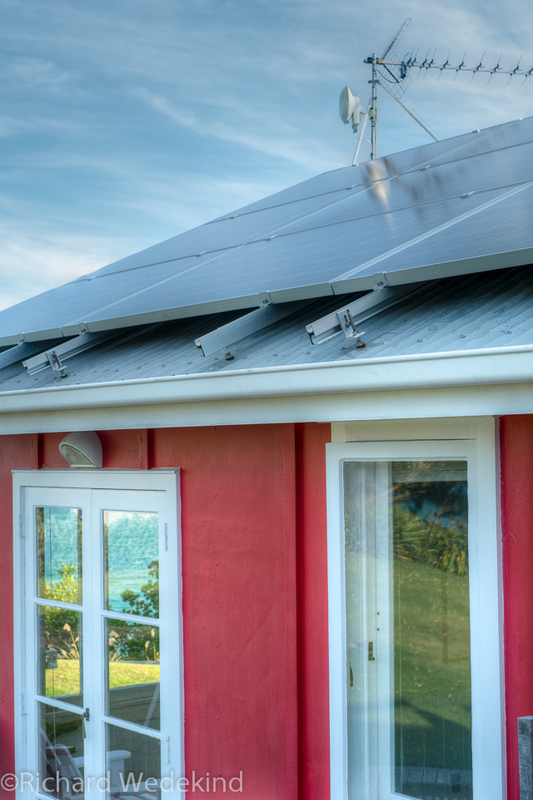 If you live on Waiheke Island, you might even be getting some of our electrons. We placed our order with What Power Crisis back in December, but what with Christmas and holidays, it wasn’t until mid February that we were in production. After nearly two weeks our 9 x 250W panels are generating an average 11kWh per day. As this is approximately our daily power consumption, we are selling power when the sun shines and buying it back at night. However, because the days are starting to get noticeably shorter and the Great Drought of 2012/2013 must eventually end, we are expecting the production to start tailing off as we head into Autumn. This entry was posted in Environment, Waiheke Island.